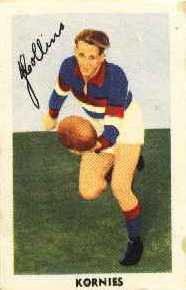 A NEW player with football in his blood is the present holder of the pivot position at Footscray. 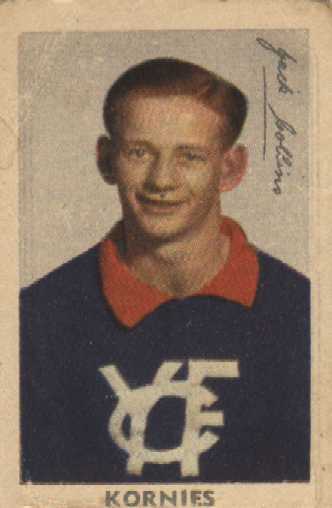 He is Jack Collins, younger brother of Allan, who was one of the cleverest players Footscray has had, and son of Jim, former Yarraville, Footscray, and Essendon player. 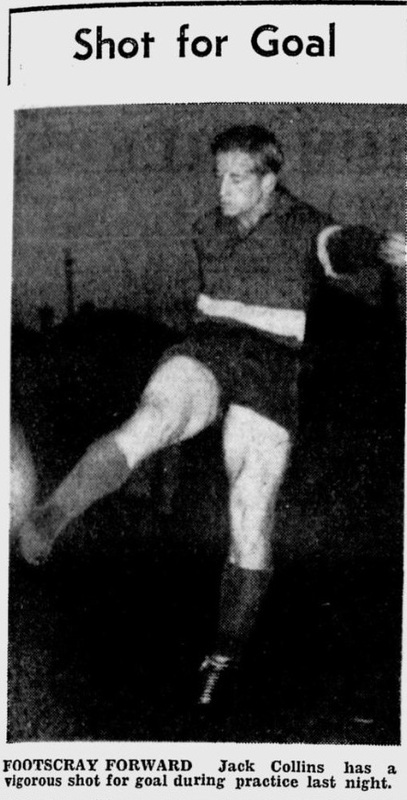 Allan, who had his first game in 1939, had played 98 games with Footscray up to 1947, when he was cleared to Berrigan (N.S.W), as coach. He was 5ft. 6in. 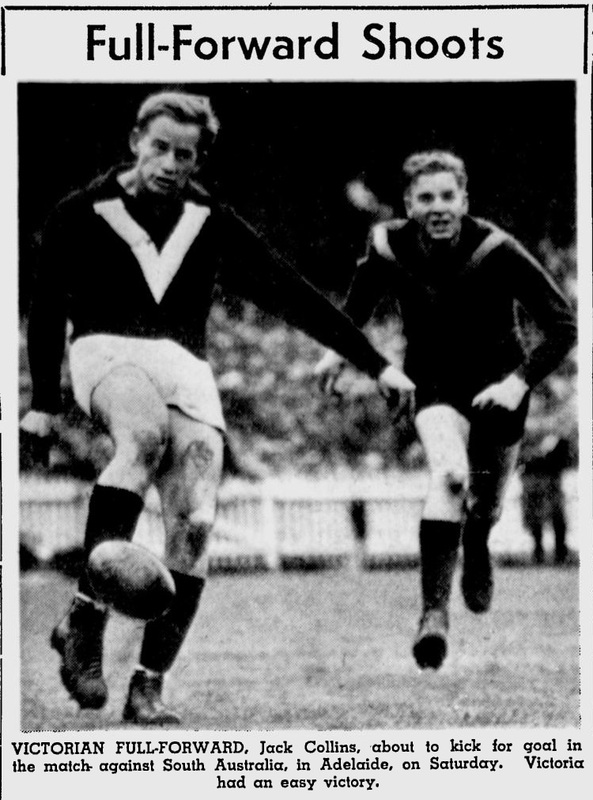 and a stockily built 12-stoner, whose best work was done at wing half forward. 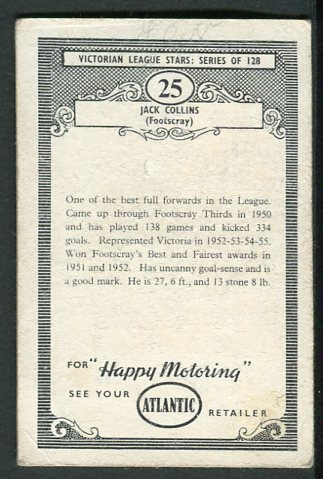 Jack is of a different build. He is 6ft. 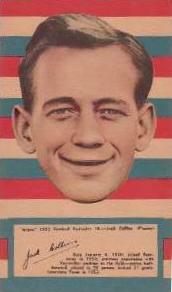 and 12st and seems a natural centre half for- ward. 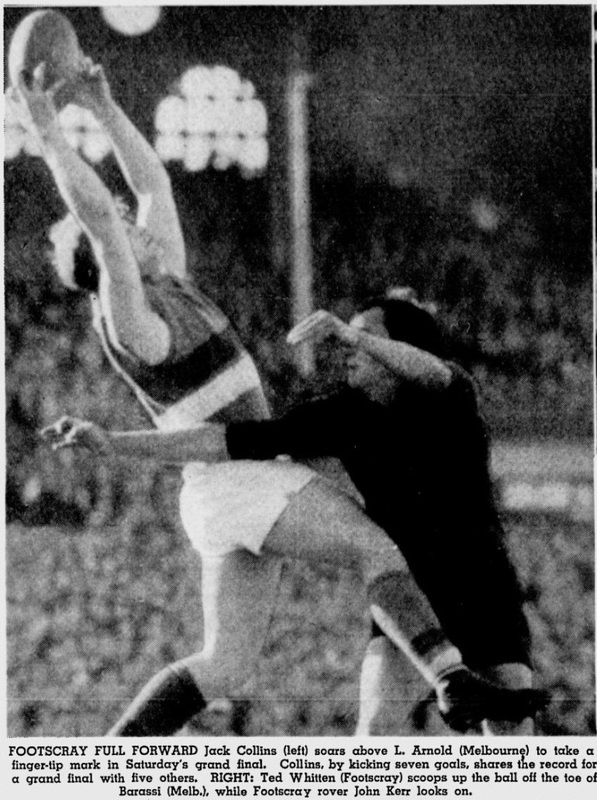 After playing a grand game at Geelong in that position, he was placed in the centre next game, and seems likely to remain there. 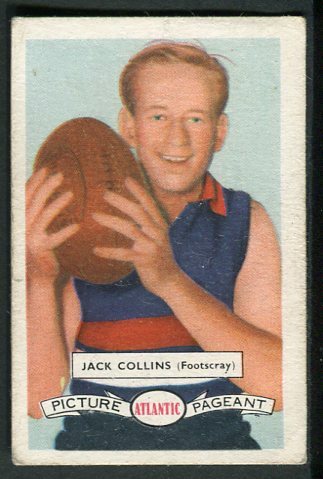 Jack is a nice mover, but, unlike most centre men, he concentrates more on long punts and drop kicks than on stab kicks. 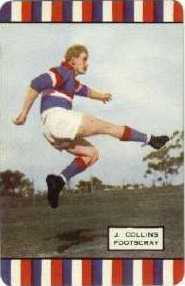 He is the adapt- able type, however, and is likely to learn the value of the stab kick pass. 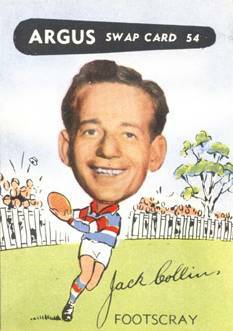 To quote a keen supporter, "Jack has everything," and Footscray are in luck to find a ready-made player who is only 20 years, and obviously has the real temperament for the game. 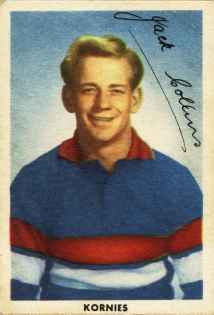 IF FOOTSCRAY'S eight new players become regulars next season, there is every reason "to believe that the team will make a strong advance. 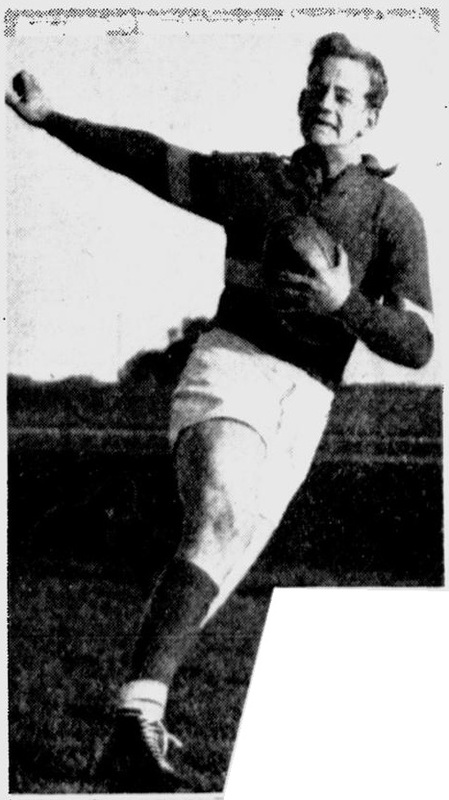 The "big eight" are Des Reardon (known everywhere as "Bill"), Don Henderson, Jack Collins. Bill Kelly, John Barrett, Frank McRae, Reg Egan, and Norman Charles. Most important - nearly all are district boys.